Scott joined Colliers in November 2005 as Director of Retail Services. He specializes in all aspects of brokerage including leasing and tenant representation, as well as land sales, site selection and sublease/ disposition work for big boxes, restaurants and banks. 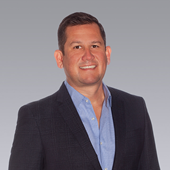 Scott was formerly the Associate Director of Cushman and Wakefield and Vice President-Central Florida for Staubach Retail. 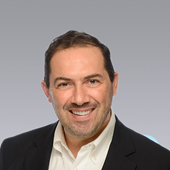 Scott has over twenty years of retail brokerage experience and three years prior as a Retail Leasing Specialist. He worked on leasing small specialty strip centers to large power centers and malls (including Altamonte Town Center, Shoppes at Alafaya, Millenia Plaza and Orlando Fashion Square) ranging in size from 9,800 square feet to over 1,000,000 square feet. 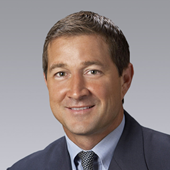 He has been recognized in the Top 5 Retail Brokers in Orlando by CFCRES, consistent top 10 at Colliers International Central Florida and has closed over 450 transactions in the past ten years and has negotiated over $100 Million in building and land transactions (ranging from 1 acre to 22 acres) for developers and owners in the past. Commercial Real Estate Broker: Site Selection Specialist with extensive representation in the Restaurant Hospitality and Retail Corporate Real Estate industries, 1991- present. Responsibilities include site selection, market analysis, strategic planning, contract negotiations, site planning and site development (permitting, signage, drainage, access, cross easements, etc.). 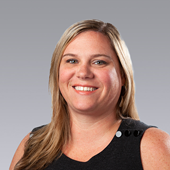 Genny Hall has spent the past 11 years in commercial brokerage with a specialty focus on retail project leasing. She and her partner, Christin Jones, lead the Colliers Retail Leasing platform for Orlando. Throughout her career, Genny has completed over $110 million worth of retail leasing transactions for properties including traditional power and lifestyle shopping centers, ground-up retail developments and specialty mixed-use projects. In addition to working with both regional and local developers, she has also represented a number of large institutional clients such as Simon Property Group, TIAA-CREF, GE Real Estate and American Realty Capital Properties. In recent years, Genny has been recognized as a CoStar Power Broker and as one of Real Estate Florida’s Top 30 under 30. Joanna Robinson joined Colliers International-Central Florida in 2018 focusing mainly on Tenant Representation in Central Florida. Prior to Collier's she worked for almost 12 years with The Shopping Center Group as a Tenant Rep. As a Tenant Rep she has worked with both regional and national clients which includes: Ross Dress for Less, LA Fitness, Ollie's Bargain Outlets, Dollar Tree, Citi Trends, Five Below, Party City, Famous Footwear, Payless Shoes, Rue 21, Mattress Firm, T-Mobile, Regis Brands, Blaze Pizza, Einstein Bagels & Vitamin Shoppe. As a Tenant Rep she is responsible for implementation of a growth and development strategy, market research, strategic site selection, and LOI negotiations. Prior to becoming a Tenant Rep she was a Leasing Agent for over 2 years.